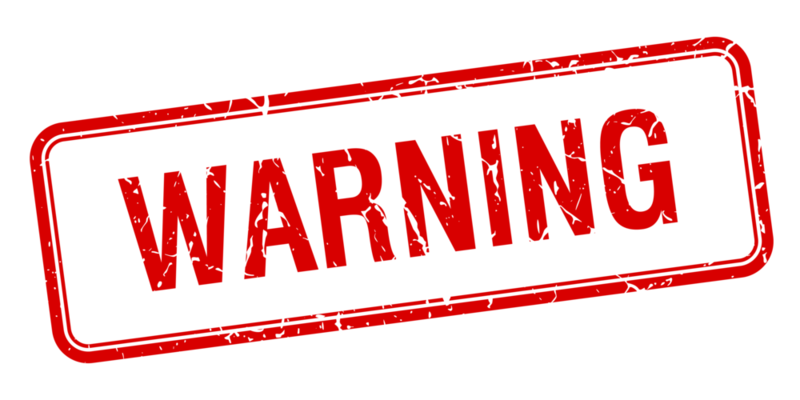 US Department Of State Issues Travel Warning For Cuba; Impact May Be Severe — U.S. - Cuba Trade and Economic Council, Inc.
September 29, 2017 / U.S.-Cuba Trade and Economic Council, Inc.
What is a Travel Warning? "We issue a Travel Warning when we want you to consider very carefully whether you should go to a country at all. Examples of reasons for issuing a Travel Warning might include unstable government, civil war, ongoing intense crime or violence, or frequent terrorist attacks. We want you to know the risks of traveling to these places and to strongly consider not going to them at all. Travel Warnings remain in place until the situation changes; some have been in effect for years." The Department of State warns U.S. citizens not to travel to Cuba. Over the past several months, numerous U.S. Embassy Havana employees have been targeted in specific attacks. These employees have suffered significant injuries as a consequence of these attacks. Affected individuals have exhibited a range of physical symptoms including ear complaints and hearing loss, dizziness, headache, fatigue, cognitive issues, and difficulty sleeping. The Governments of the United States and Cuba have not yet identified the responsible party, but the Government of Cuba is responsible for taking all appropriate steps to prevent attacks on our diplomatic personnel and U.S. citizens in Cuba. Because our personnel's safety is at risk, and we are unable to identify the source of the attacks, we believe U.S. citizens may also be at risk and warn them not to travel to Cuba. Attacks have occurred in U.S. diplomatic residences and hotels frequented by U.S. citizens. On September 29, the Department ordered the departure of nonemergency U.S. government employees and their family members to protect the safety of our personnel. Due to the drawdown in staff, the U.S. Embassy in Havana has limited ability to assist U.S. citizens. The Embassy will provide only emergency services to U.S. citizens. U.S. citizens in Cuba in need of emergency assistance should contact the Embassy by telephone at +(53)(7) 839-4100 or the Department of State at 1-202-501-4444. U.S. citizens should not attempt to go to the U.S. Embassy as it suffered severe flood damage during Hurricane Irma. Travelers should apprise family and friends in the United States of their whereabouts, and keep in close contact with their travel agency and hotel staff. Visit the Embassy Havana website for the latest messages to U.S. citizens and other information related to Embassy operations. See the State Department's travel website for the Worldwide Caution, Travel Warnings, Travel Alerts, and Country Specific Information for Cuba. Enroll in the Smart Traveler Enrollment Program (STEP) to receive the latest security updates and make it easier for the nearest U.S. Embassy to locate you in an emergency. Follow the U.S. Embassy in Havana on Twitter @USEmbCuba and Facebook and the State Department's Bureau of Consular Affairs on Twitter and Facebook. Over the past several months, 21 U.S. Embassy employees have suffered a variety of injuries from attacks of an unknown nature. The affected individuals have exhibited a range of physical symptoms, including ear complaints, hearing loss, dizziness, headache, fatigue, cognitive issues, and difficulty sleeping. Investigators have been unable to determine who is responsible or what is causing these attacks. On September 29, the Department ordered the departure of non-emergency personnel assigned to the U.S. Embassy in Havana, as well as all family members. Until the Government of Cuba can ensure the safety of our diplomats in Cuba, our Embassy will be reduced to emergency personnel in order to minimize the number of diplomats at risk of exposure to harm. In conjunction with the ordered departure of our diplomatic personnel, the Department has issued a Travel Warning advising U.S. citizens to avoid travel to Cuba and informing them of our decision to draw down our diplomatic staff. We have no reports that private U.S. citizens have been affected, but the attacks are known to have occurred in U.S. diplomatic residences and hotels frequented by U.S. citizens. The Department does not have definitive answers on the cause or source of the attacks and is unable to recommend a means to mitigate exposure. The decision to reduce our diplomatic presence in Havana was made to ensure the safety of our personnel. We maintain diplomatic relations with Cuba, and our work in Cuba continues to be guided by the national security and foreign policy interests of the United States. Cuba has told us it will continue to investigate these attacks and we will continue to cooperate with them in this effort. The health, safety, and well-being of our Embassy community is our greatest concern. We will continue to aggressively investigate these attacks until the matter is resolved.